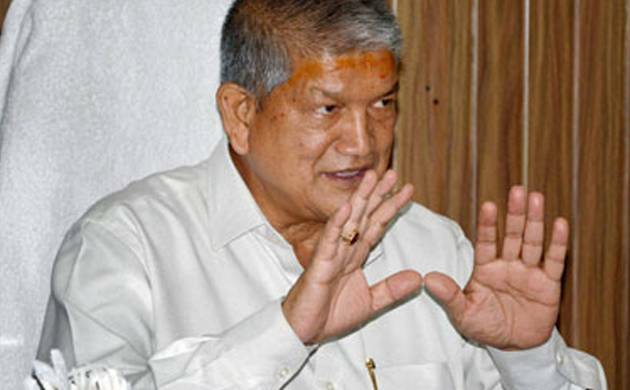 Uttarakhand Chief Minister Harish Rawat on Thursday hit out at the Narendra Modi government accusing it of meting out “step-motherly treatment” to the state and asked it to immediately approve the proposed zonal plan for Bhagirathi eco-sensitive zone (ESZ). “The Centre must revoke the rejection of the master zonal plan of Bhagirathi ESZ and approve it immediately for the benefit of the people living in the area,” he told reporters here after observing a one-day hunger strike. Rawat alleged that the Centre is adopting indifferent parameters and discriminating the state on the issue which has hindered the development of the hill state. Recently, the Centre had rejected Uttarakhand’s zonal plan proposal for the Bhagirathi ESZ, which starts from Gaumukh to Uttarkashi, saying the plan designed by the state government had “many shortcomings”. In the plan, Uttarakhand had proposed setting up 10 small hydro-power projects in the region and carrying out infrastructure projects like building roads in the eco-sensitive area. Rawat also advocated for relaxation of environmental norms for Uttarakhand on the lines of those offered to other Himalayan states and Western Ghat Eco Sensitive Zone in Maharashtra. Like the other states, the Congress leader demanded that permission should also be granted to Uttarakhand for establishing hydro power projects up to 25 MW. Rawat also claimed that state has suffered a loss of Rs 1,000 crore due to demonetisation and said the Centre has not provided any financial assistance in this regard. Instead of taking measures to revive the sick IDP and HMT, established during the regimes of Jawaharlal Nehru and Indira Gandhi, Rawat said the Modi-led government has taken a decision to close them. Uttarakhand Pradesh Congress Committee President Kishore Upadhyay, state ministers Surendra Singh Negi and Mantri Prasad Naithani, among others were present on the occasion. Upadhyay demanded reservation for forest dwellers (vanwasi) in the central government jobs and compensation for “revoking of special category status” to the state. “Vanwasi should be given reservations in central government posts for uplifting their lives... The state is incurring a loss of Rs 33,000 crores per annum due to revocation of special category status. We want a compensation for it,” he said. Other demands of the state include 50 per cent subsidy for cooking gas cylinder and approval of green bonus for taking various measures for pollution control, he said. Upadhyay also shot off a letter to Prime Minister Narendra Modi, highlighting the state government’s various demands, including handing over the control and administration of all water and electricity projects to state government and release of Rs 4,000 crore for relief and assistance to the disaster affected population. He also demanded continuance of special industrial package to the state for another 10 years besides compensation for loss suffered due to demonetisation.